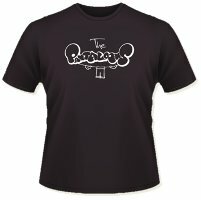 Yes, that’s right – you too could soon be the proud owner of an incredibly fashionable The Pantaloons t-shirt. And that’s not all! As The Pantaloons shop grows in the future there will be all kinds of Pantaloon souvenirs (Pantalouvenirs?) to buy and cherish forever. Mugs! Bags! Pens! Books! Ornamental carved wooden elephants! Actually, probably not the elephants.